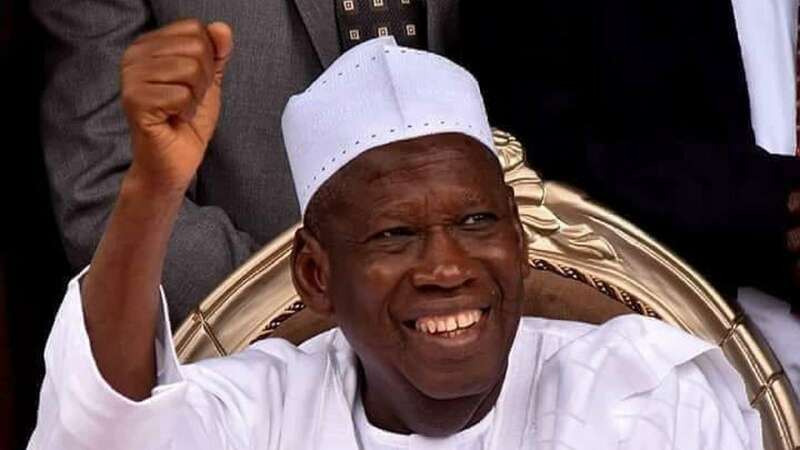 Kano State Governor, Abdullahi Ganduje, has described those doubting the elections results from his state as unserious. President Muhammadu Buhari of the All Progressives Congress (APC) scored 1,464,768 to defeat the People’s Democratic Party’s (PDP) candidate, Atiku Abubakar, who polled 391,593. The Independent National Electoral Commission (INEC) cancelled the results from no fewer than 17 local government areas of the state, even though there was no incident of violence in the state. Ganduje spoke during his visit to the Presidential Villa to congratulate Buhari on his re-election. Ganduje said the result of the Presidential and the National Assembly polls has put the APC in the good stead to win the March 9 gubernatorial and House of Assembly elections. On his chances in the governorship election, Ganduje said: “My chances are very high, and you can see the beginning of it, with the presidential election. We gave Mr. President the highest number of votes, all the three senators are back, 24 House of Representatives members out of 24 have succeeded. What else are you expecting? That is the foundation. Another thing is that Mr. President has done a lot of work in Nigeria and in Kano; and, as a government, we’ve done a lot in Kano State. On why he was at the Presidential Villa, the governor said: “First of all, we have to thank Almighty God. I’m here to express my happiness and congratulate Mr. President, personally, and to, also, thank all Nigerians for voting Mr. President for the second term; for voting the most honest person because he laid the foundation for the development of a new Nigeria, a man who loves Nigeria more than himself, a man who believes in free and fair elections. Meanwhile, Katsina State Governor, Aminu Bello Masari, has described the re-election of president Buhari as an act of God. Masari, who spoke with newsmen at the Government House, yesterday, expressed confidence that Buhari will use the opportunity of his second term to build on the successes already recorded by the APC administration, since 2015. “We thank God for making this victory possible for president Muhammadu Buhari and for Nigerians. “We had a very successful presidential election with few minor incidents, which are natural for an occasion of this size and nature. “We thank Nigerians for re-affirming their confidence in the ability and capacity of president Buhari to steer the affairs of this country for the next four years. I’m sure the opportunity given to president Buhari will lay a solid foundation for re-building our country. “The people of Katsina State should re-dedicate themselves and show that the state is APC, by returning all APC candidates in the subsequent elections as they did during the presidential election,”he said.